A long time obsession of mine has been black paint. 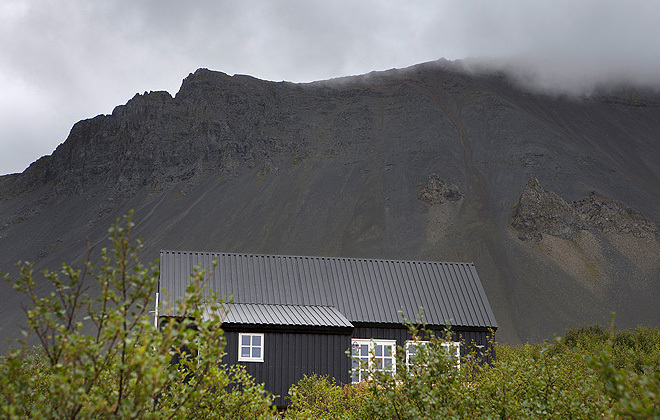 So when I happened upon this black house in Iceland, I was immediately drawn to it. It’s stunning, isn’t it? 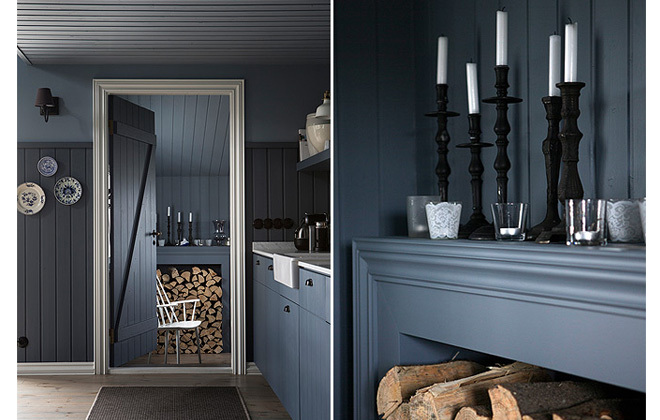 This beautiful house was designed by Rut Karadottir and inspired by the 18th century coastal houses of the region. 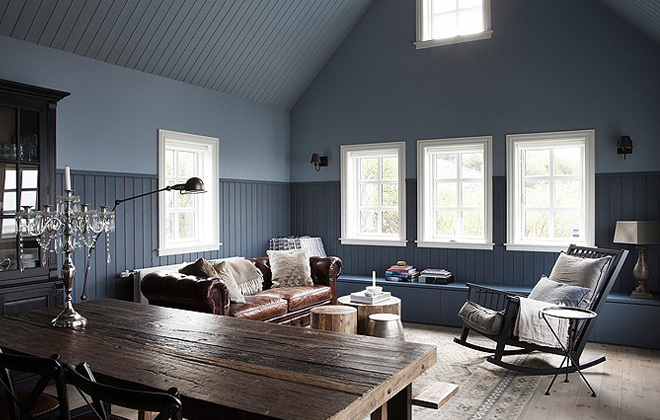 Located on the western coast just outside of the town of Borgarnes, and just an hour from Reykjavik, this house is the perfect getaway for those design-minded vactioners looking for something a little different. 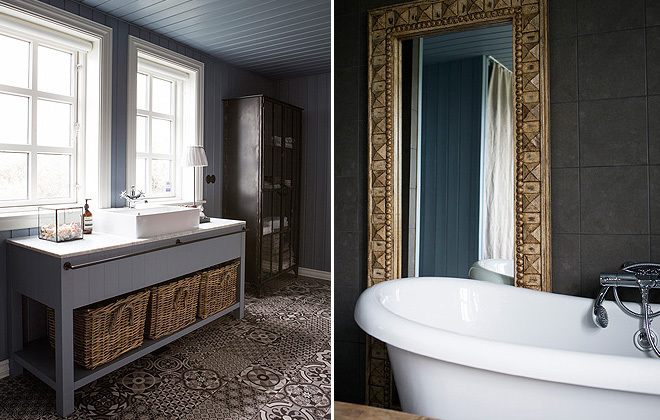 The interiors are totally drool-worthy. 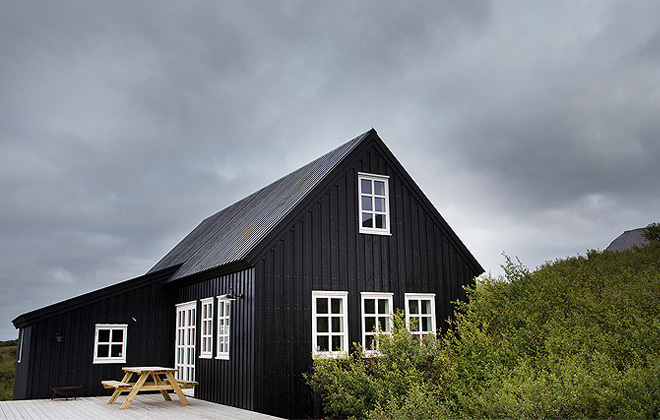 I’ve always loved a rich, dark palette for a home, so when I came across this beautiful, simple black house, I simply fell in love. The color of the house comes from the original pitch finishes made from tar to protect the timber constructions from the elements. But the deep greys/blacks also match perfectly with the cool, somber landscape. It isn’t a big house, which makes me appreciate the use of space even more. How fabulous are the cathedral ceilings? And that chandelier? Before we go all blue on the nterior, I figured I would go back to the black exterior one more time. Love how it plays against the hills behind it and the green around it. Ok, b(l)ack to blue! Now I have to drool over the wood paneled walls and ceilings. And the interiors are just as fabulous, maintaining a cozy, warm feel. The design also reflects the landscape: simple, natural, warm and inviting. 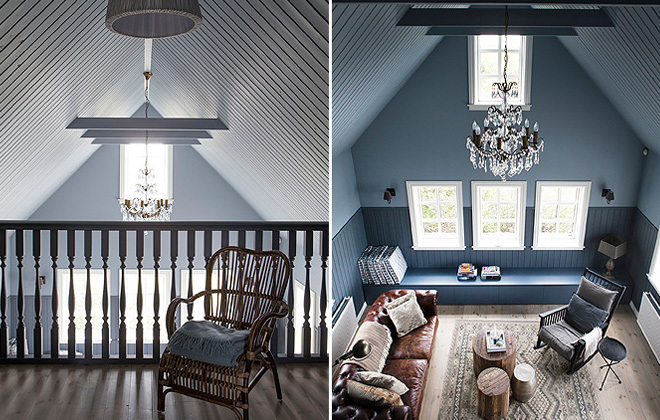 The same deep grey tones carry though the beautiful lofty double height space of the traditional a-frame house, along with pops of perfectly crafted color and natural tones from beautiful exposed wood. 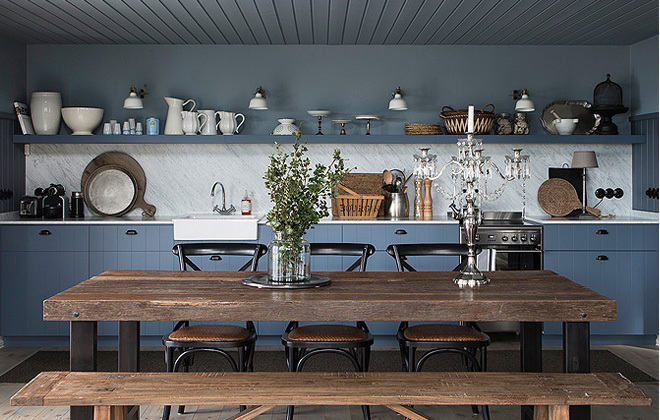 The eat-in kitchen is simply done and so cozy looking. I almost want to cook in there! 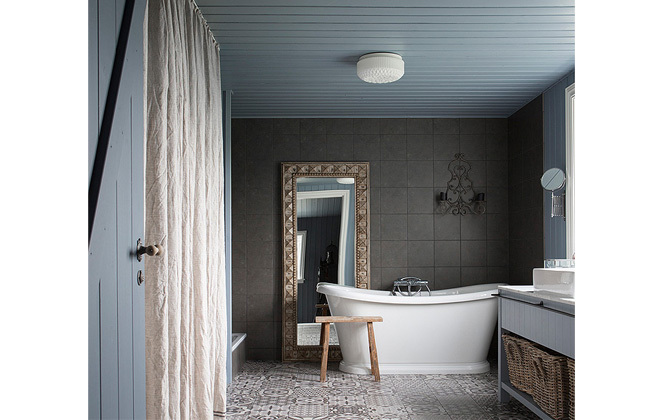 The tile floors, that mirror…..
And after a long day of touring around, that soaking bath. Plus, with the jaw-dropping landscape of fjords and volcanic mountains surrounding you, you wont want to leave! Another perk – between October and March, this quaint little house is the perfect spot to scope out natures original light show, the Aurora Borealis. How fun! I’ve never been to see the Norther Lights, but a cozy house like this is making the case for a trip!